"David was extremely helpful in assisting my husband and I find our first home in Chicago. Given that we had not gone through this process before, David helped us the whole way through. He was extremely patient and attentive to our needs. He showed us over 20+ properties that fit what we were looking for, and once we found the property that we wanted to call home, David was extremely helpful throughout the home buying process. He was able to provide us with referrals for an inspector, who was meticulous and assured us that our home was in great condition, as well as an attorney who help us through the legal process of buying our newly built condo. Overall, had it not been for David and his attention to detail, we may not have found the home of our dreams. Thank you for everything, David!" "David has been wonderful to work with! His knowledge is superior! A true professional who knows Chicago. He listens and executes! Communicates effectively and quickly. We will work with him again!" "What a joy working with David on selling our condo! He has the experience and expertise to understand the local markets and put us in the best position to sell quickly." "David has been great in helping purchase (2005) and sell (2007) our condo in Chicago. In 2005, my wife and I were moving from NYC to Chicago. While still in NY, we contacted David to help purchase a condo. During our 2 day visit to Chicago, he set aside his weekend to show us 15+ condos with varying features and prices. During the flight back to NYC, we were able to decide on the condo to purchase. In addition to having a good understanding of what we were looking for and expediting our search, he also connected us to a very reputable lawyer and mortgage broker making the experience like a one stop shop. In 2007, we had to move again and decided to sell the condo. With the market starting to slow down, the condo wasn't sold when we left Chicago. However, David handled the entire process while we were gone and found a buyer at a fantastic price. Overall, he was available for any questions and very honest & transparent about the buying and selling process. If we ever move back to Chicago, David will be the first real estate professional we reach out to." "David was instrumental in assisting us to sell a property. He was great to work with, and was very thorough in his preparation and negotiation skills. David walked us through the entire process and guided us to accept the right offer. We closed the deal because David was well-prepared and he did his homework. He had a plan to sell the property and it was successful. I highly recommend David Montagano." "David was absolutely fantastic helping us sell my sister's property. He has extensive knowledge of the area and was always willing to do research when questions arose. He responded quickly when we had questions and was there to walk us through every step of the process. Yes we would highly recommend David." "David was amazing to work with! He asked the right questions, listened to our concerns and always made us feel that finding the right home was his number one priority. David was patient and kind throughout the entire process. He stayed in touch and quickly responded to our questions. David's knowledge of Chicago and its various neighborhoods was invaluable in helping us to find the perfect home. We would never consider using any other realtor in Chicago other than David Montagano!" "David was a great help in selling my previous home that I had stayed in for 28 years and while the process was long it he was there throughout advising and helping. Once my house was sold and I was ready to move into my new place of residence, he gave me valuable insight into the entire process of buying a property. The entire process of getting into the new place was another hurdle, but it all worked out in the end with David's experience to light the way with every step that was taken." "David is an extremely personable and professional realtor. He did extensive research and market analysis when it came time to list our downtown condo. David's knowledge of the marketplace is expansive. There was never a moment when David was not reachable, and I can't recommend him enough for anyone seeking a great partner to guide them through the real estate process." "Dave was outstanding to work with. So outstanding, in fact, that I used him both to buy my condo and then subsequently again to sell it 5 years later. He was professional, honest, personable, and incredibly hard-working. I could not have asked for more and will continue to refer friends and family alike to Dave." "David led us through the sometimes-overwhelming process and thoroughly ( and honestly) guided us along the way. He has an extensive knowledge of the Chicagoland area and nose for finding great places. We love our new home!" "David was great, he helped us plan when it would be best to list resulting in numerous showings. He also helped us buy, with a sale and purchase closing on the same day. On the buy side he was able to negotiate the price down very effectively." "David was a great asset to have when seeking out a home to purchase. It took me a few years to find a place because I knew what I wanted and would not stray away that. Unfortunately what I wanted was not commonly on the market but when it was David was quick to present it. David was very patient and tentative which was something I greatly appreciated since I am a first time homeowner. For anyone looking to buy a home I would recommend David." "Last May I was slow in acting. I wanted to sell my house but did not want to rush. I had an Estate sale to get rid of my stuff. I thought I needed to redo some of the house before putting on the Market. David was very supportive , but suggested that I let him take a couple through the house just to get an outside opinion. That was that, I had an offer the next day for what I was asking. I can't thank him more." "David is without question the ideal agent partner. He cares about his clients. In my case, he thoroughly investigated the neighborhoods that I preferred and patiently worked with me. I was a first time buyer with a very specific vision in mind and he made sure that we looked at a range of properties. We made an initial offer and rescinded it (thankfully) due to his diligence. He was tenacious about retrieving the earnest money. He also worked with the inspector on several occasions, including gaining access to the roof of the place I eventually purchased to inspect the AC condenser. His attention to detail is unmatched. David is an individual of high integrity, ethics, and character. I highly recommend David Montagano." 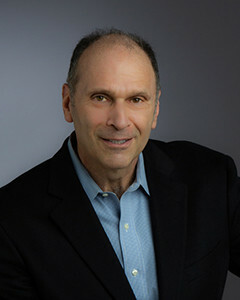 "David Montagano is a proven real estate professional you can trust. He was able to sell my loft for 95% of the list price in a down-spiraling housing market. Beside that, he was able to mask the smoking odor enough to entice a non-smoker to buy it." "David Montagano listened to our long list of requirements and found us the perfect home! He was far more interested in finding us a home that we would be happy with than making a sale. David was also very diligent throughout the purchase transaction. In fact, he stayed on top of my mortgage broker and my lawyer to make sure everyone was moving the deal forward in a timely manner. He's the best!" "David has been essential in every real-estate transaction we've made since 2009. He very well understands not only the RE market and how it works, but specifically how it works in the Chicagoland area---including the sale of our Evanston condo and Andersonville two-flat; even the rental of our studio condo in downtown Chicago. Further, on more than one occasion he's offered to to go above and beyond the given job description of an agent by even helping us solve logistical problems of furniture moves, rental negotiations, and managing necessary homeowner's association (HOA) relationships---everything happens smoothly and efficiently. Additionally, David was also easy to work with remotely from out-of-state. That was quite a relief in of itself. If you are serious about buying or selling property in Chicago, hire David and no one else." "avid Montagano assisted me in selling my Lincoln Park condo in a very difficult market. Even though we differed on the list price, David was patient in describing to me the difference of being on the market rather than in the market, and agreed to list at my price. After a few weeks with many, many showings, David educated me by showing current comparable property value data that supported his value of the property. I agreed to Davids price and the property was under contract in 10 days. I would highly recommend David Montagano." "David was my listing broker for a property that was not going to be the easiest to sell in the best of times. It was his bad luck that I came to him right as the market was crashing. Despite those handicaps he was able to get the property sold in a short time for well over 90% of the list price and it was an all-cash offer. This was an amazing turn of events. David has my highest recommendation"
"After going through many agents, my husband & I were fortunate to land David Montagano. He was very patient with us and clearly understood our needs. When he found our home, he skillfully guided us through the closing process smoothly and efficiently. Even after the closing he's always made himself available for any questions or concerns without us feel. Dr. & Mrs. Joseph & Diana Pulvirenti ing like we're a bother. We have no regrets using him and in the future for any property matters that we may have, we've chosen to keep him permanently as our agent. A profound professional and a rarity." "David was absolutely fantastic! He listened to everything we said and got to know us personally. As a result, he was able to find the PERFECT home for us! In Chicago we would never use anyone else but David!!!" "David found a renter for my condo in just a few short weeks. Couldn't be happier about that. He is always one step ahead of the game and extremely thorough."